Whenever I hear the word paradise, my mind automatically goes to some white sand beach along crystal clear blue water, but after visiting The Ranch at Rock Creek in Montana, I have found a different kind of paradise like nothing else before. From waking up to the sound of their creek, to riding a horse to the top of Sagebrush Flats, to experiencing an amazing deep tissue massage, to trying different culinary masterpieces daily, the whole experience was serene and luxurious. The Ranch at Rock Creek is a whopping 6600 acres with their own cattle, horses, a spa, shooting range, ropes course, the list goes on. 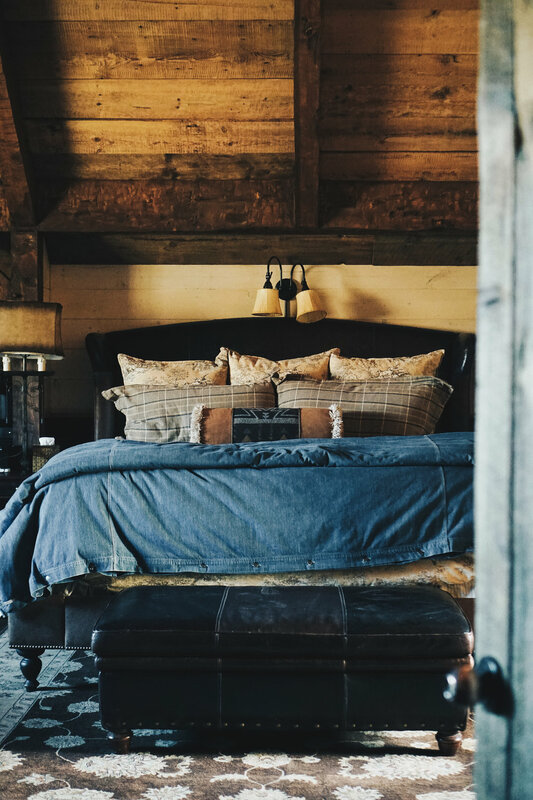 I stayed in what they call the Loft, which was the hayloft of the original homestead’s barn, with original exposed-rafter ceilings contrasted with luxurious amenities. The Ranch is all-inclusive, and is rated the world’s only Forbes Travel Guide Five-Star ranch. The photo above is where they host a dinner every Saturday night with live music and an open area to dance. Essentially, you have breakfast, lunch, a chef's tasting menu dinner, and two or three activities a day. My favorite activity was the horseback riding. I have always had a love for horses but never really get the chance to ride since I live in a big city. The horse I rose was named Tank and he was something special! We trotted and loped which was really awesome for me. At night time, they have a saloon which has a movie theater, bowling alley, pool tables, other games, and a full bar with karaoke. This was such a fun element because I spent the majority of the trip doing activities solo, so this was an appropriate way to hang out with other guests and socialize. After leaving the saloon each night, I would look up and see the stars. They call it Big Sky Country for a reason, it was so clear I could see everything! The final highlight of my trip was waking up on the last morning to see something I have never seen before: a mother and baby Moose! This place truly provides a once in a lifetime experience that I'll be sure to never forget. Thank you to The Ranch at Rock Creek for partnering with me on this post and for the unforgettable stay! I hope to come back again some day.